Mandibular tori, defined as bony protuberances located along the lingual aspect of the mandible, are a possible cause of difficult intubation. We describe a case of mandibular tori that resulted in difficult intubation. A 62-year-old woman who had speech problems was diagnosed with mandibular tori, and was scheduled for surgical resection. On physical assessment, the patient had a class II Mallampati view and bilateral mandibular tori. Preoperative computed tomography images demonstrated that the bilateral mandibular tori arose from the lingual aspects of the second incisor to the first molar regions of the mandibular corpus, and occupied the floor of the mouth. 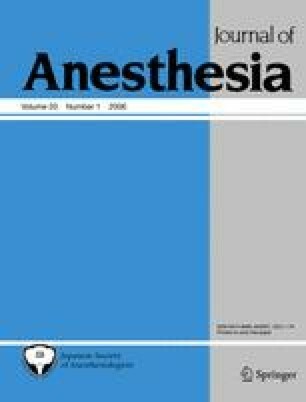 In the operating room, anesthesia was induced with remifentanil and propofol. After complete paralysis was achieved, laryngoscopy was attempted several times with Macintosh blades. The massive tori prevented insertion of the tip of the blade into the oropharynx, and neither the epiglottis nor the arytenoids could be visualized, i.e., Cormack and Lehane grade IV. Blind nasotracheal intubation was successful and the surgery proceeded uneventfully. The anesthesiologist should examine any space-occupying lesion of the oral floor and should be vigilant for speech problems in order to detect mandibular tori that might impede intubation.